How does your candidate / brand measure up online? 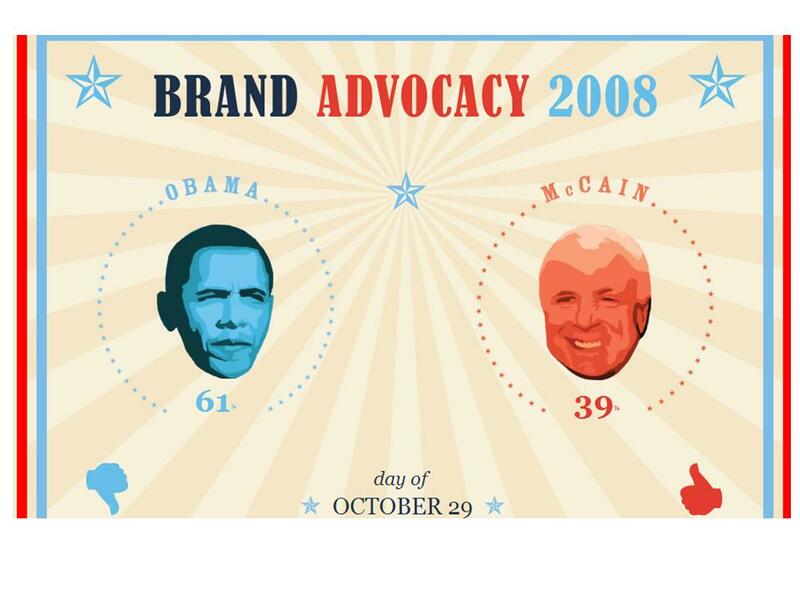 Measuring the success of one’s campaign is, obviously, rather an important aspect of advertising. A company called MotiveQuest has developed a way of measuring the online chatter surrounding a brand – they’ve dubbed it their ‘Online Promoter Score’. As a showcase for their measuring technique, they’ve developed a microsite to predict the outcome of the US Presidential election. Using the websphere to develop hype around one’s brand is a key facet to a successful campaign. Having someone to measure your online buzz and suggest ways to improve it, is an absolute ‘must’ for any brand hoping to cut it these days.